Christmas Eve is the beginning of Christmas for me. We do all the prep work, but the night before is when we begin things. We went to my daughter Jessica’s church for the Christmas Eve service. JJ was in the Christmas program so of course we had to go there. Even though my car was heading to my church. I was ready to turn into the parking lot when I noticed I was at my church. I had JJ in my car and he was asking if I was taking a short cut to his church. My answer to him was “Yeah, sure I’m taking a short cut”, hahha. He almost didn’t make it. 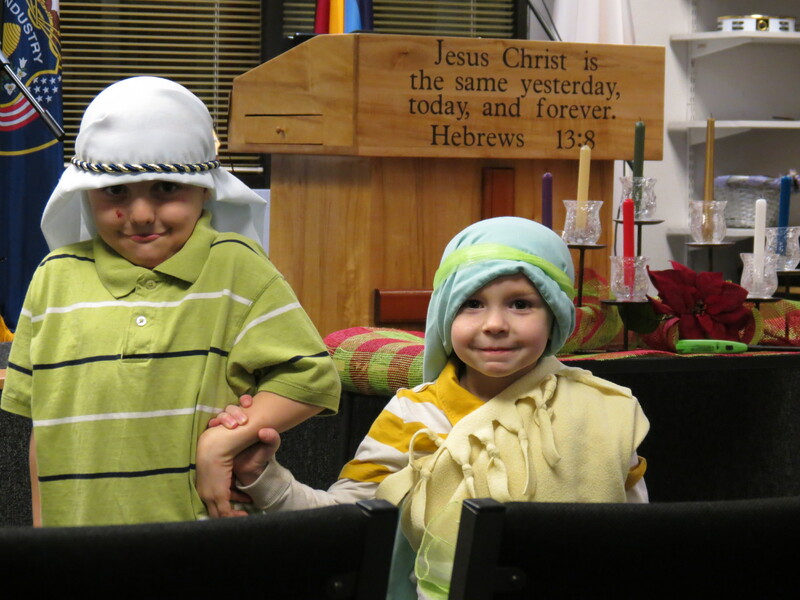 But he did a good job as did Jessica and Uriah who put together the Christmas play in a day. Our Christmas was pretty good. We had 19 people show up here at the house. It was more stressful the night before than the day of. I like to have everything ready so there is no last minute flying off the handle for me. I almost accomplished that Christmas Eve. On Christmas Day it went like it should. Everyone showed up for the gift exchange and we opened the gifts. Bridgette had a heck of a time with hers, lol. 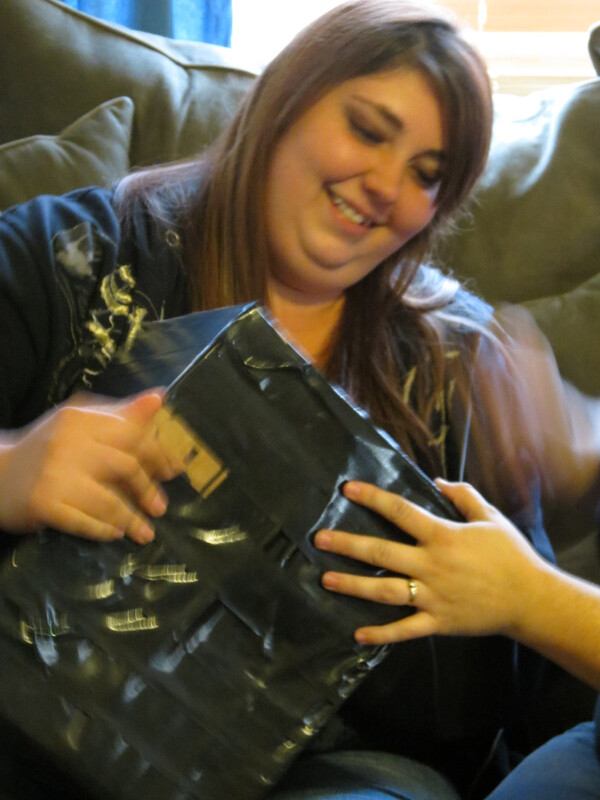 Beckiah had her name and Beckiah did the box in a box thing with duck tape around each box. The kids liked what they got and I think everyone was happy with what they had. We didn’t go over the top this year. Which was kinda nice. We ended the evening with the dogs opening their gifts and playing with their new toys. My dogs loved them. I will write more about them on my Petter Pets Blog. Christmas is over for another year and the New Year festivities are about to begin. For me those festivities means staying home where is is warm. It seems like there are so many nut jobs out there on New Years and this is a much safer place to be. My thoughts on is that if it is a CALM News Years day and Eve, then it just might be a CALM year. So far it hasn’t worked out that way, but that is my hopes. When it comes to resolutions, I don’t do those. The reason why is that I kick myself in the hinney when I fail to follow through. So my resolution is to have no resolution. Previous Jesus as a Child? Next Dying for a Prize- Is it Worth It?